Join us for the OLC Live! Featured Speaker Series, an interactive virtual experience providing the OLC Accelerate community access to hear from, and connect with, many of the key speakers and leaders of OLC Accelerate 2018. Join John Stewart (University of Oklahoma) and OLC Chief Executive Officer and Executive Director, Kathleen Ives for a discussion about leadership and her evolving vision for OLC. Time will be provided to interact and ask questions. 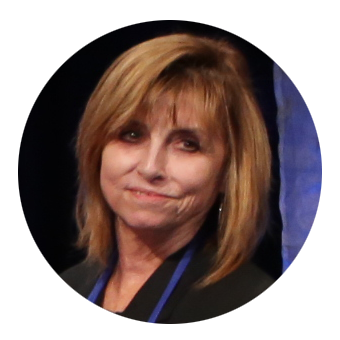 Don’t miss your chance to get an inside look at this key leader who is helping shape and define OLC Accelerate 2018! Kathleen S. Ives, D.M. has worked in online technology for over 30 years and is currently the Online Learning Consortium’s Chief Executive Officer and Executive Director where she oversees the organization’s strategic direction. Additionally, she serves on the EdSurge Advisory Group, the Executive Strategic Council for IMS Global Learning Consortium and on the Leadership Advisory Board for the Center for Learning Innovations & Customized Knowledge Solutions (CLICKS). Formerly, Dr. Ives oversaw all forms of alternative instruction at Quinsigamond Community College in Worcester, MA (distance learning, accelerated programming). She serves as adjunct faculty for graduate and undergraduate business programs at Wentworth Institute of Technology in Boston. Dr. Ives began her career at CBS and helped to develop the service that evolved into Prodigy. She then spent fourteen years designing and implementing consumer online information services, first at AT&T and then at Verizon where she spearheaded the development of the nation’s first online Yellow Pages product, now called superpages.com. Dr. Ives has degrees in communication, communication management, and organizational leadership from the University of California at Davis, the University of Southern California, Annenberg School of Communication, and the University of Phoenix-Online, respectively. When not steeped in digital and online learning, she serves as a volunteer at both Greater New England Dog Rescue performing site visits for ‘forever homes’ and Great Lakes Caring Home Health and Hospice assisting in patient transition care.